February 26th, 2015 – Garden Grove, CA – There was a reason King Shocks chose to be the tittle sponsor the SNORE, Battle at Primm race. 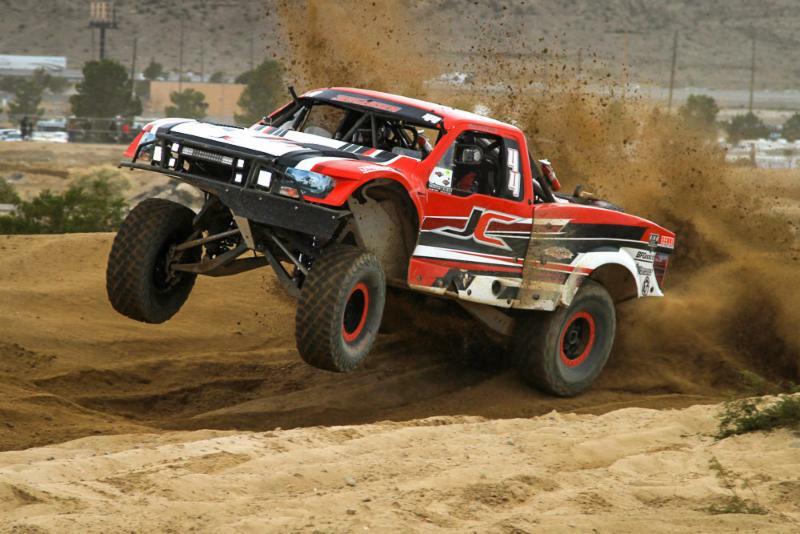 The course at Primm has some rocky hard packed sections but a majority is loose sandy soil. As the heat races run during the two day race, the shifting sands create huge holes, whoops and ruts. After countless vehicles have clawed at the ground for traction, the corners turn into a mosh pit for shocks and suspensions. 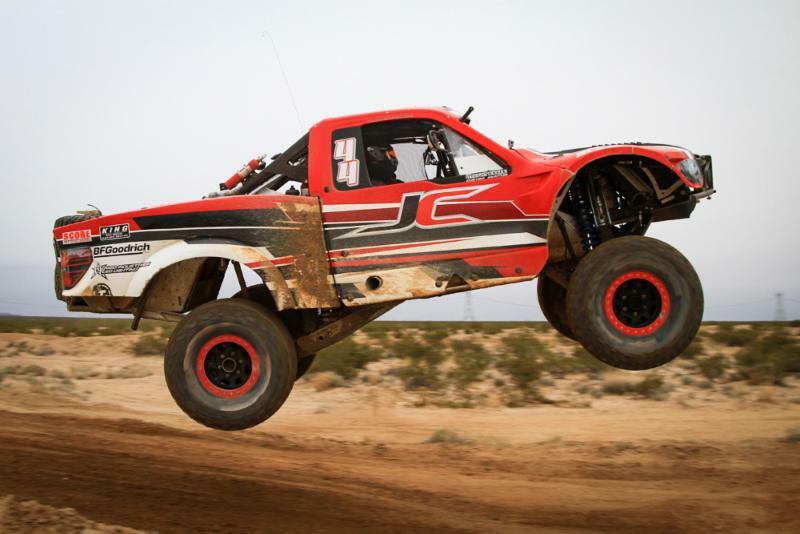 One second your suspension is bottomed out on the bumps tops. The next second, the shocks are fully extended; straining the limit straps. Without a proper shock set-up, temperatures can skyrocket and performance will fade. Not only do your shocks have to damp some serious oscillations but it’s also critical to put the power down to the ground if you want to win. The man who did just that was overall winner, Kyle Jergensen. Kyle’s King Shocks allowed him to take back to back wins for the overall victory. “Saturday, we started second behind Olliges,” said Kyle, “We got out front but the transmission temperature was climbing so we had to back off for a couple laps. Greaves got out front but had to stop for a flat in the rocky section. That’s when we got past him.” Kyle went on to take the win. On Sunday, Kyle erased any doubt who was the fastest. The transmission issue had been solved so Kyle had all the horsepower he needed at his disposal. Kyle jumped out into the lead early and never looked back. In every corner, Kyle’s truck soaked up the humongous whoops, settled down and hooked up hard on the exit. His lead continued to grow until he took the checkered flag. Despite the course that was downright hammered, Kyle’s truck was clean like his win. 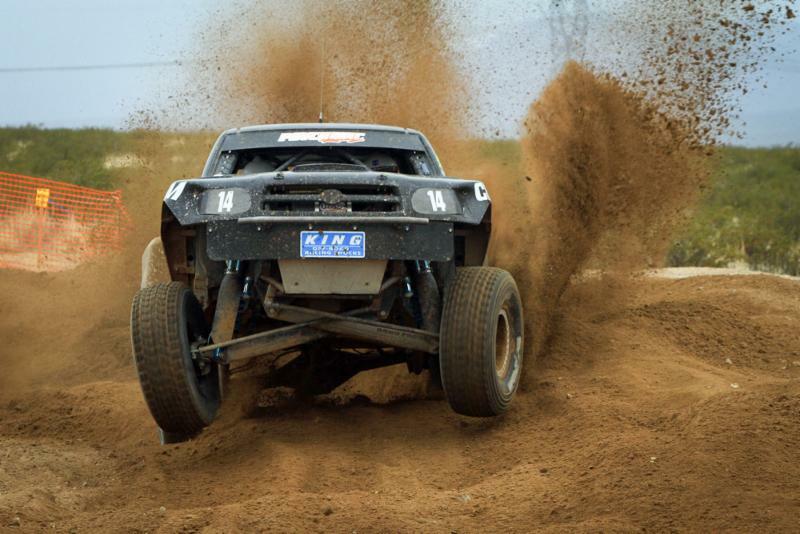 Kyle proves once again that King Shocks has the damping performance you need to win in the most challenging conditions.